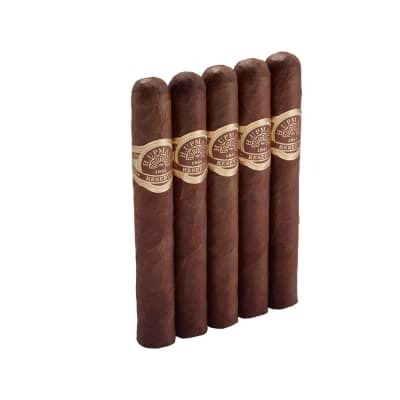 Macanudo Cru Royale cigars are a medium-bodied, full-flavored selection from one of the cigar world's most highly-acclaimed brands. 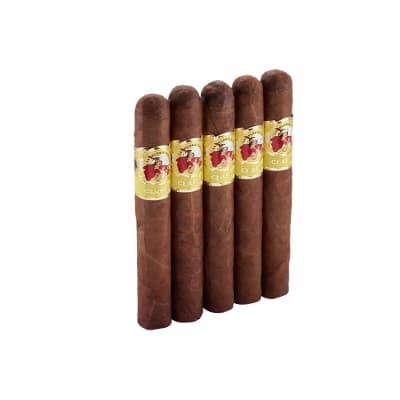 Crafted under the direction of the legendary Benji Menendez, each cigar has a core of Nicaraguan & Dominican Viso longfiller with Brazilian Mata Fina, plus a proprietary Dominican La Vega Especiale binder rolled in an Ecuadorian Habano seed wrapper. 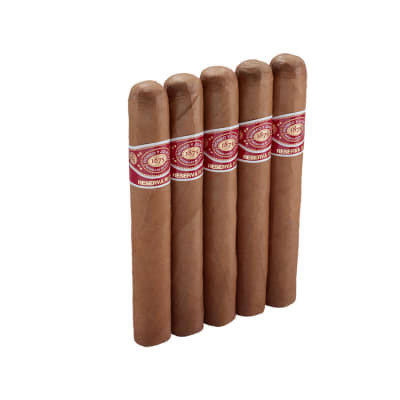 Expect a well-balanced, aromatic smoke brimming with rich, complex flavors on a savory finish. Order your box now. 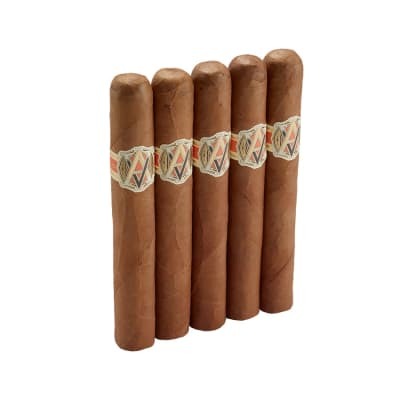 Macanudo Cru Royale Toro 5 Pk. Just a fantastic & smooth cigar. Let me start by saying that I am a huge fan of macanudos. Portofinos were the first real cigar I ever smoked, and since then macs have always had a special, nostalgic place in my humidor.This is not a bad cigar, but also not one I will likely seek out again. It feels like Mac is trying to edge their way into another brand?s market with this one. It burns nicely and tastes nice, but nothing really knocks my socks off.The Hyde Park is my gold standard for Macs. They are so good with the natural wrapper cigars that I don?t understand why they would try to elbow in to the maduro market. At a slightly lower price point, Romeo y julietta maduros are a much more complex, and in my opinion, better smoke than this one. It?s not a bad experience. It?s enjoyable like all macs are. It?s just not memorable.Burn is consistent. Flavor is good, not great. Draw is excellent. Construction is excellent. Appearance and consistency is excellent. I?m not rushing to the store to buy a box of these, but I certainly wouldn?t be disappointed if one of these were to show up in a promotional sampler, as this one. Macs are never bad. This one just falls short of their usually high standards, in my opinion. I have had mixed results with the few that I ve had. It is, of course, possible that it s because of the conditions they had been kept in the shop, so you shouldn t necessarily get put off of the cigar when seeing its construction and burn ratings. 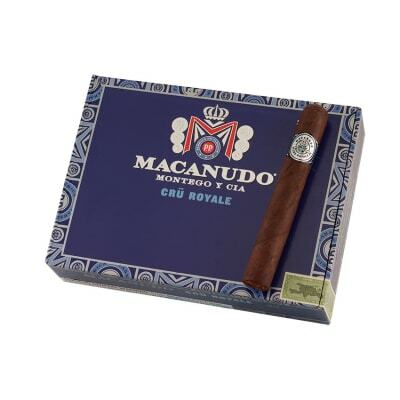 It is a slow burner, with a nice appearance, and definitely a unique contribution to the Macanudo line. As some reviews online have said, it definitely does have vegetal and slight coffee notes. I would say it s mild to medium in body, and I did not detect any strength. Not only would this be a good cigar to those who like Macanudo and would be interested in this cigar s flavor profile, but would also be good for someone starting the hobby. Overall, not bad. This cigar is not bad, but a little too mild for me. I used to smoke a lot of Mac's when I started smoking cigars but I've grown to like the fuller bodied stronger cigars now. All in all it's not a bad smoke though. The draw is a little tight but I usually don't mind that as I like to nurse a cigar. It did have an ok flavor but very subtle for my tastes. I tried it because I used to smoke a lot of Mac's and wanted to try some of their newer lines. I would recommend it but only if you like a milder flavored cigar. It's nice looking and construction was nice. Burn was also very good, no touch ups needed. A nice cigar I wish it was stronger cause evry thing else was very good about it.